Your invoice will be sent following confirmation of your order and validation of the payment. The prices are given in Swiss francs (CHF) in the online shop, including all taxes. The delivery costs are shown separately. To complete your order, you must give your Visa, Mastercard or PostCard card number, the security number, as well as the expiry date of the card. The deduction will be made according to the methods agreed by your bank. In certain cases, the card reader (e-banking security tool) provided by your bank will be requested in order to make your payment secure. All personal details will be treated confidentially. 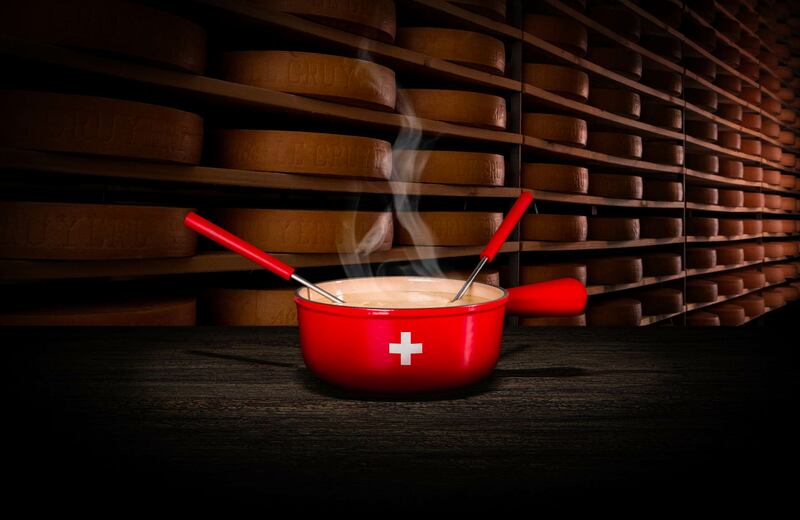 Information required to manage the order will be used for data processing purposes only and will only be deployed for sales or promotional activities by Fondues Wyssmüller®, Gruyère, Suisse SA. To have your personal data deleted, simply inform us of this via e-mail at info@wyssmuller.ch, stating the name of the user. Shipping costs are calculated based on the weight of the items purchased. 300 g of frozen items are added to each dispatch. We send our packages to a recognised and precise postal address. Items ordered and sent by post are not taken back or exchanged. Les Fondues Wyssmüller® SA guarantees the quality of the products delivered up to delivery of the package by post. It is responsible for the quality of the products in the event of alteration during the delivery period (this commitment is valid up to the time of delivery stated by the postal service and indicated on the Track & Trace tracking system). Important reminder: as soon as they are received, cheese products must be stored straight away at a temperature of 5 °C. Orders are delivered by post, generally within a maximum period of 24 hours. Orders sent up to 3 p.m. at the latest are dealt with the same day, for delivery to be carried out generally the next morning. Final possible order deadline via PostPac Priority: Thursdays at 3 p.m. The weight of cheeses prepared for slicing may vary by 5% (+/-) in relation to the weight indicated when purchasing. From THURSDAY 3 P.M. to FRIDAY 3 P.M., orders have to be sent via Swiss-Express “Lune” for delivery to be made on SATURDAY morning (please select this option when you order). Delivery on Saturdays before 10 a.m. throughout Switzerland. Please note that we are unable to respect the normal postal dispatch deadlines in the event of public holidays. In the event of legal proceedings, the exclusive place of jurisdiction is Bulle in the canton of Fribourg in Switzerland; in this case the court in Gruyère. The applicable law is the Swiss Code of Obligations.